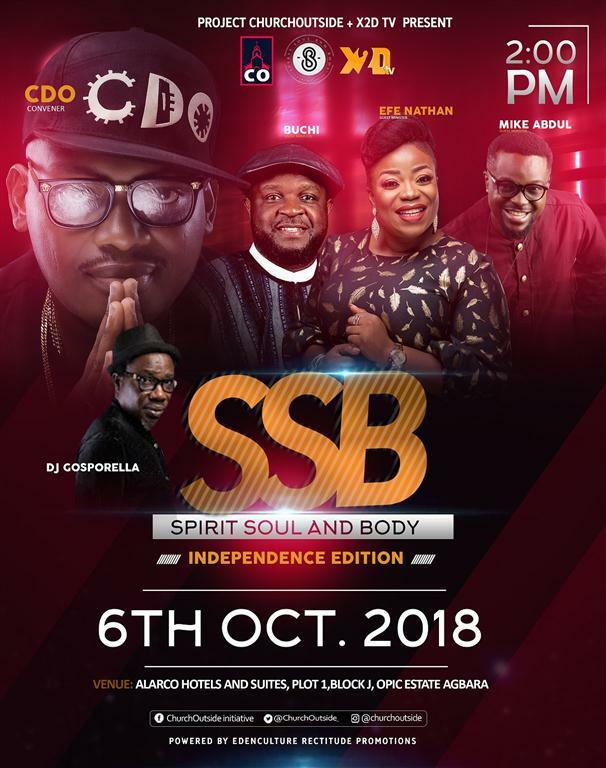 The Spirit, Soul and Body concert (the Independence Edition) is happening at Agbara, on Saturday, the 6th of October, 2018. Agbara is a boundary suburban town adjoining Lagos and Ogun states and the gospel will be going to the streets in the neighborhood! The Spirit, Soul and Body concert is reaching out to people who would ordinarily not come to the church. “We are reaching out to show the love of Christ to those bound by cultism, drug related issues, prostitution and the forsaken of the society. For where there is a multitude of errors, there grace shall abound.” – says the convener (CDO of Rectitude).